Belgium goes its own way on drink driving penalties. 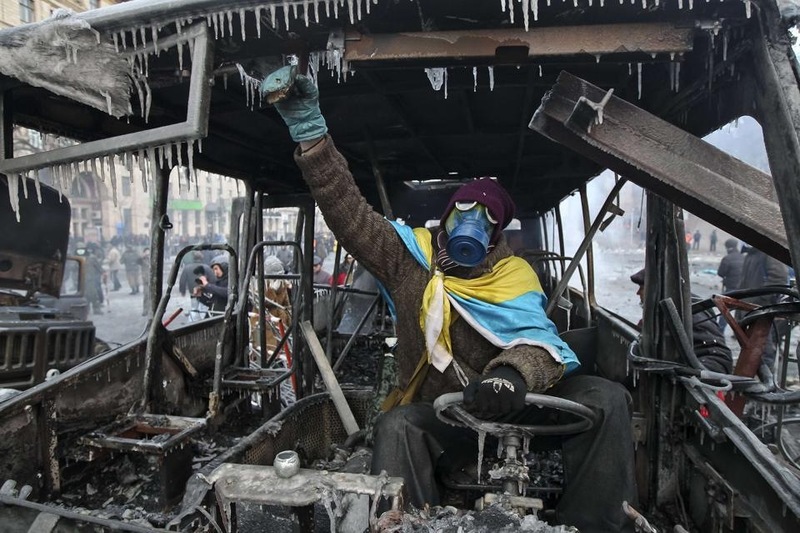 Ukraine pro-EU protestors find themselves – briefly? – in the driver’s seat while storms ravage roads around the Mediterranean. Question marks have been raised over safety standards in many of France’s long distance tunnels; drivers in Switzerland should expect more checks during the Davos WEF and more arms have been discovered on aid trucks bound for Syria. 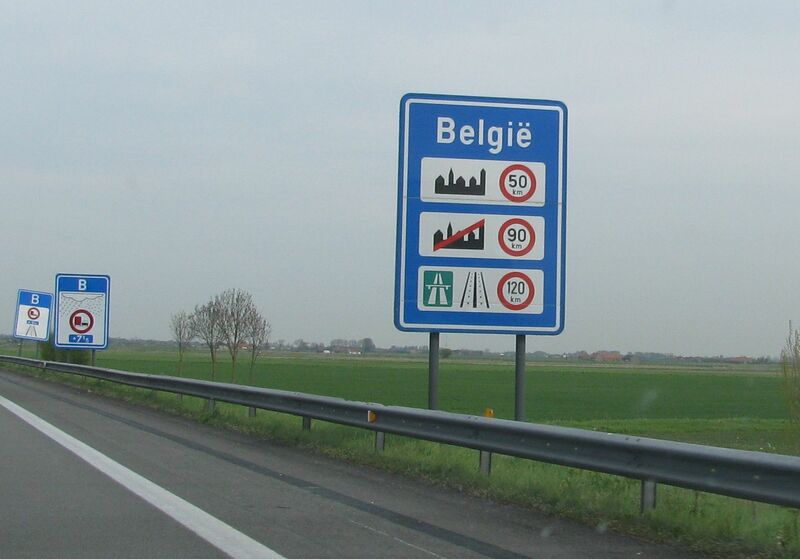 Belgium to raise the drink driving limit for foreign drivers, and lower it for professional drivers. In line with its target to reduce road deaths to 420 by 2020*, Belgium is to toughen up its drink driving rules. However, the upper limit for foreign drivers is being relaxed. Like most other European countries, the Blood Alcohol Content (BAC) threshold for drink driving penalties in Belgium is 0.5g/l (compared to 0.8g/l in the UK). Unlike most other countries however there’s a sliding scale of on-the-spot fines before the harshest penalties kick in. That used to be 1.2g/l, but for foreign drivers only it will be raised to 1.5g/l. All drivers will face an on-the-spot fine of €170 for BACs of 0.5-0.8g/l (up from €150 now), plus a three hour driving ban. Between 0.8-1.0g/l the fine increases to €400; from 1.0-1.2g/l the fine is €550. Finally, between 1.2-1.5g/l – and only available to foreign drivers – the on-the-spot penalty reaches €1,200. For BACs of 0.8-1.5g/l the driving ban is six hours. Drivers with BAC of over 1.5g/l face automatic prosecution with a minimum fine of €1,200 and a maximum of €12,000. Licences can be confiscated for at least eight days and possibly up to five years. The new rules will be published ‘in the near future’ in a Royal Decree a spokesman for the Ministry of Mobility told @DriveEurope today. A new limit of 0.2g/l for professional drivers will also be published soon and is likely to come into force in November or December 2014. *down from 767 in 2012. Storms have battered coastal areas in the western half of the Mediterranean all weekend. The wind and rain has calmed in northern Italy, where there were many reports of landslides, but there’s still extensive flooding in Var, South of France, high winds in east Spain, Sardinia and southern Italy today. Meanwhile, Germany and Poland and set for heavy snow. 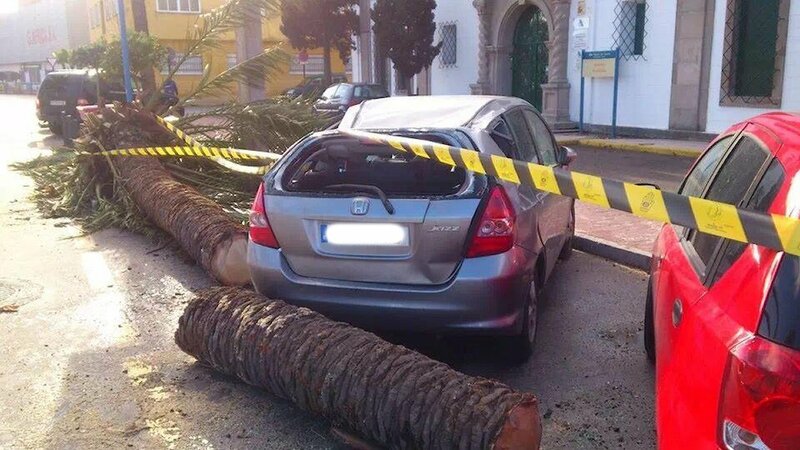 Photo via @MeteoGib of cars in Ceuta, the Spanish enclave in Morocco, yesterday. FRANCE. Despite the safety systems in the Duplex Tunnel on the A86 west of Paris being widely regarded as state-of-the-art, many other long distance tunnels around the country are not up to scratch says AutoPlus magazine (via ThisFrenchLife). Half of the 22 tested lacked emergency contact services and a third had no safe stopping places. The minister responsible has promised a review. SWITZERLAND. Expect enhanced border checks during the Davos World Economic Forum, 22-25 January. Countries are allowed to suspend the Schengen Agreement during controversial, high profile public events. TURKEY. Gendarmerie have discovered more arms on board aid trucks bound for Syria. Again it turns out the trucks were in the service of the MIT intelligence services, and all were released.